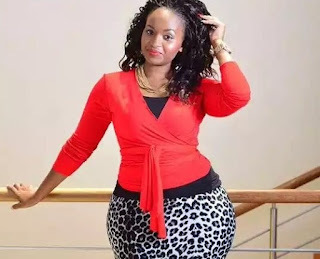 Curvaceous and stunning media personality Grace Msalame recently took to her social media page to open up her heart and advice ladies who wish/want to be parents in future. The well-endowed classy and sassy diva is currently a mother of gorgeous twin daughters. She decided to reveal that ladies should prepare to loss their beauty when they are expectant. 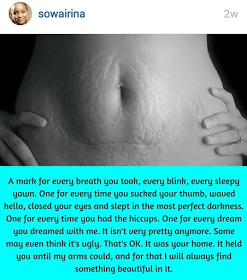 She was ‘lenient’ enough to share a photo of her tummy which is full of stretch marks that are kinda permanent.